Chantella was nominated by Prince Albert locals as one of 2014 Artists of the Year. Voting took place over a 2 month period where over 400,000 votes were cast for all categories. So this was a total blast! Chantella had the honor of being interview by Blair Farthing for CTVs News. 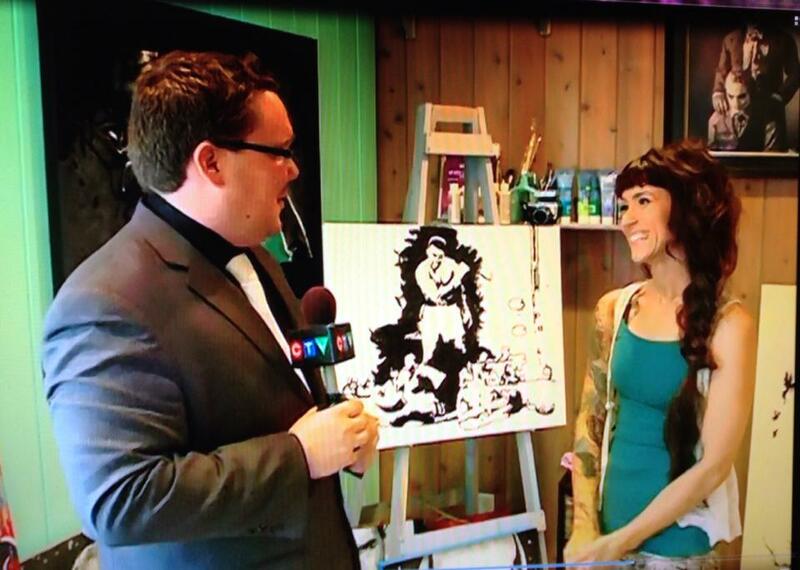 It went over so well that a second interview was requested for CTV News National! What a great experience! Chantella demonstrating how her pop art paintings are completed. This was a little while back, but meant just as much to Chantella as anything. The article was more focused on Chantellas Art Lessons which she used to teach prior to becoming a full time artist. She plans on returning to teaching again one day when her schedule will allow for it.